As the inventor of heatable slippers, Magic Bag has always been interested in personal comfort and warmth. Our Heatable Slippers warm up your feet almost instantly, promote blood circulation and help you relax! Whether you use them to soothe arthritic pain or simply to warm up your feet after a winter outing, you are going to love Magic Bag SPA Slippers. Magic Bag’s heatable slippers are now available in a luxurious fabric with the added benefit of aromatherapy. Can you ever warm up when your feet are cold? 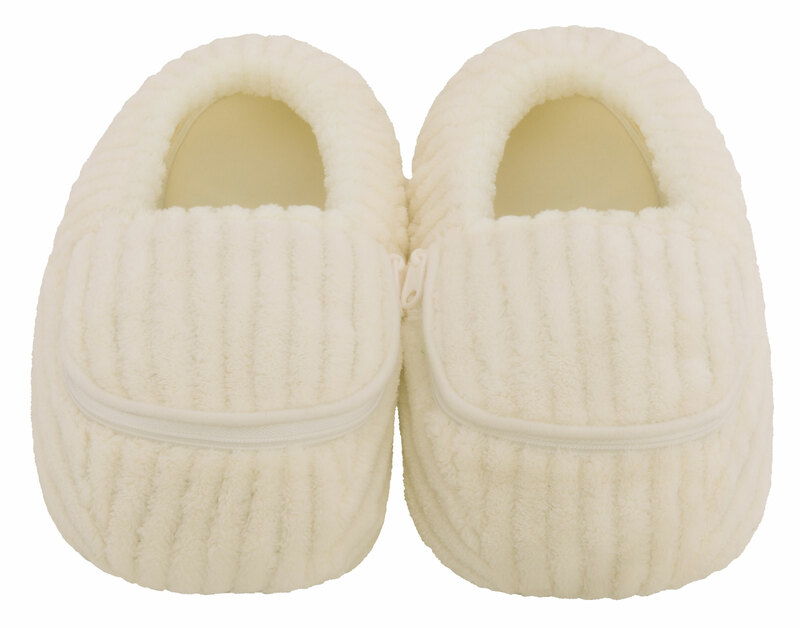 These adorable slippers are comfortable on their own, but also come with heatable inserts. Simply slip insert into the handy pocket on top of foot. Still walk around freely, but now with warm feet and toasty toes! Luxuriously soft for the ultimate in comfort and relaxation at home. Loved these slippers because I have owned a magic bag for years. Got these at Christmas but the bags burned holes In them :( no longer can use them. Loved them after a day at the rink watching hockey! We are sorry to hear about the issue you faced with the heatable inserts. Please kindly send pictures as well as how it was heated to: webcs@masdelinc.com. Our Customer Service team will be happy to help you with this issue. Warmly, Magic Bag.